The Santa Clara County Vector Control District said Friday that it has collected adult mosquito samples that have tested positive for West Nile virus in the city of Santa Clara. In an effort to prevent human infection, the district is planning to conduct a mosquito fogging treatment in the surrounding areas beginning at 11 p.m. Wednesday, July 29, the Vector Control District said. Weather permitting, the fogging will only last a few hours and should be finished sometime in the early hours of the next morning, according to district officials. The fogging will be centered in an area near Tasman Drive and Great America Parkway. Additionally, the fogging will spread over to a nearby portion of Sunnyvale and San Jose, according to district officials. "This is our second fogging of the year in the county and the first in this area," Santa Clara County Vector Control District Manager Denise Bonilla said. "Killing infected mosquitoes greatly decreases the chance of people getting sick from West Nile virus. West Nile virus is preventable." 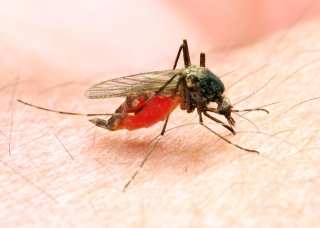 The virus is passed to humans by mosquito bites. West Nile virus does not cause symptoms in most people, but in some individuals it can cause fever, headache, body aches and in severe cases, significant neurological damage, or even death, district officials said. Adults older than 50 years old and persons with certain chronic medical conditions such as diabetes, high blood pressure, cancer and kidney disease are most at risk for serious complications, according to district officials. West Nile virus was first reported in California in 2003. Since then, 4,806 people have contracted the disease statewide, with 177 of those cases resulting in death, according to the Vector Control District. Residents can look online for a map of the area that will be fogged.